The F1™ hospitality in Singapore is full of rich rewards with an outstanding service. Singapore, with its diversity and subtle glamour, is one of the finest ways to indulge your F1™ fantasies. The circuit, in the heart of Marina Bay, exudes palpable energy, perfectly matched by the vibrant Singapore GP hospitality options of which there is an excellent choice. The track at night with the circuit under floodlights is stunning. For all F1™ racing enthusiasts, the race at Singapore is a captivating must-see. Treat yourself to a gourmet dinner, an all-day open bar and exciting viewing points around the best parts of the circuit. There is plenty of night life to choose from too. Singapore is famed for its luxurious hotels: the iconic Raffles, the Mandarin Oriental, The Marina Bay Sands hotel – and the Ritz Carlton, where most of the drivers and senior team personnel stay. 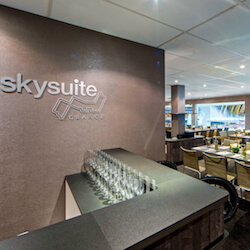 Located at the top floor of the hospitality facilities, Sky Suites offer the best vantage point…. 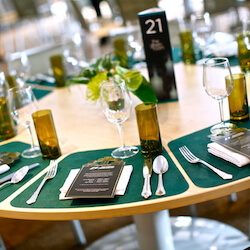 Situated on the second level of the hospitality facilities, the Club Suites provide an up-close…. 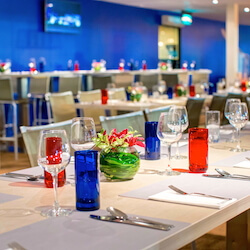 The Green Room is ideal for entertaining your clients or family in a casual and relaxed environ….